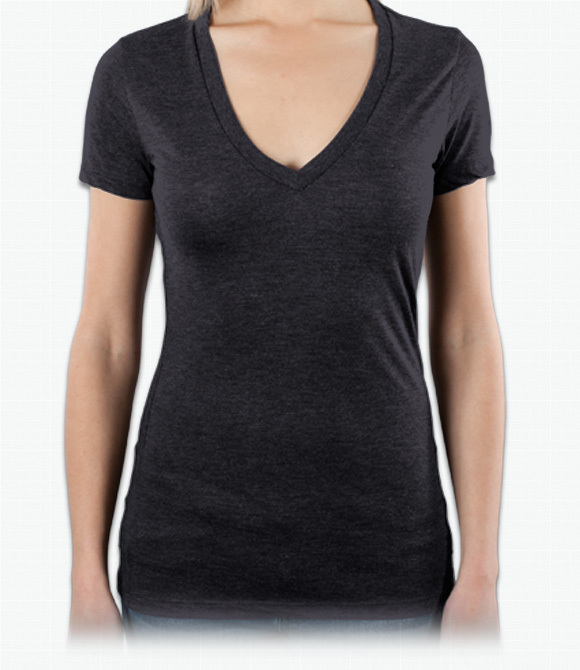 Super deep v-neck in a slim fashion fit. Triblend is supremely soft and durable. "The shirts ordered were stunning, with wonderfully vibrant colors. The material was far softer than we anticipated, too. I really feel like we got a bang for our buck. " "Love this shirt, have ordered the exact same shirt for our event every year and will continue to keep coming back for the same one every year! Fit is great!" "I ordered 22 SM, 12 MD & 2 LG. They are for my employees at a Tanning Salon. I found the SM to be more like XSM. They all took the MD & LG and most of them are tiny!! Did I miss a measurement chart? Maybe you should have one."